Sedona is just one of the many delightful surprises that befell me in Arizona, a state rather surprisingly, just a hundred years old. 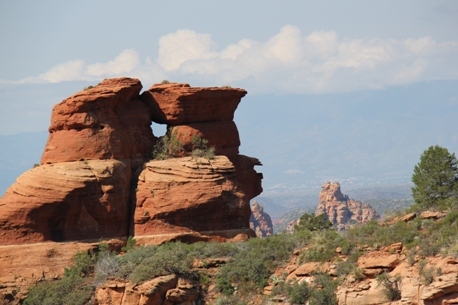 It’s not necessarily the brightest circle on the tourist radar, although you’ve probably been to the Grand Canyon for a brief stop, far and away its signature attraction; after all Arizona is called The Canyon State. But this is a land stuffed full of contrasts, the 330 days of sunshine a year probably the only thing that’s routine. The images of the “wild west” embodied through the old mining towns, none more famous perhaps than Wyatt Earp’s Tombstone or the stunning Sonoran desert, home to the unique Saguaro Cactus, such an iconic image for any cowboy buff, those giant arms stretching skyward as if in permanent surrender. It’s a land steeped in the legacy of over 20 Native American tribes, including the Navajo and Hopi each with their own unique story to tell. Although these days many of the tribes have realised their lands fall outside of the USA gambling laws and have constructed vast casino based resorts across much of America as a consequence. The Talking Stick Resort just outside Scottsdale is a good example. But then consider the modern day Arizona. 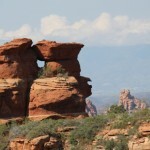 Impressive cities like Phoenix, Scottsdale, Mesa, Glendale and Tucson, not forgetting Sedona and Flagstaff of course. 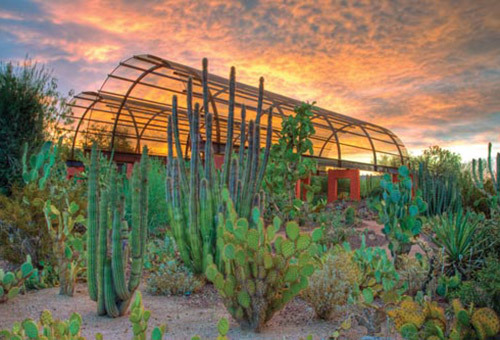 And what about the architectural wizardry of Frank Lloyd Wright, whose winter home Taliesan West in Scottsdale, is still a magnet for visitors the world over. My destination this time however, was a lesser known jewel in Lloyd Wright’s portfolio, the extraordinary ASU Gammage Theatre in Tempe, one of the largest campus based theatres in the world. This 3,000 seat Middle Eastern-esque art deco theatre, built in 1964, ironically after Lloyd Wright’s death, was originally intended to be an opera house in Baghdad. He had been commissioned to build it by Iraq’s King but the project was abandoned following the revolution in 1958. Who knows, had it gone ahead, it might not have been around for us to see today. 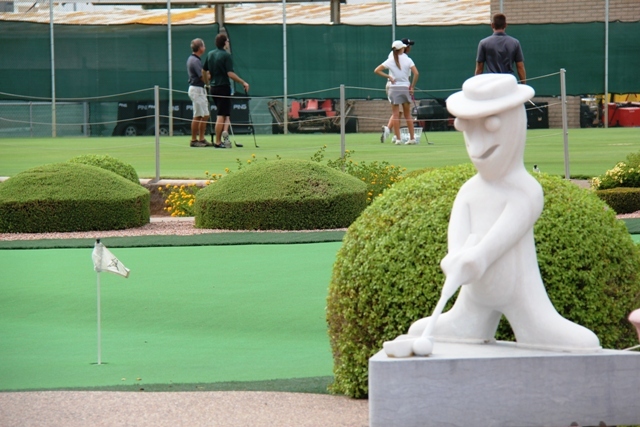 Tempe itself is a charming small town and a perfect base for touring the busier Scottsdale and Phoenix areas. 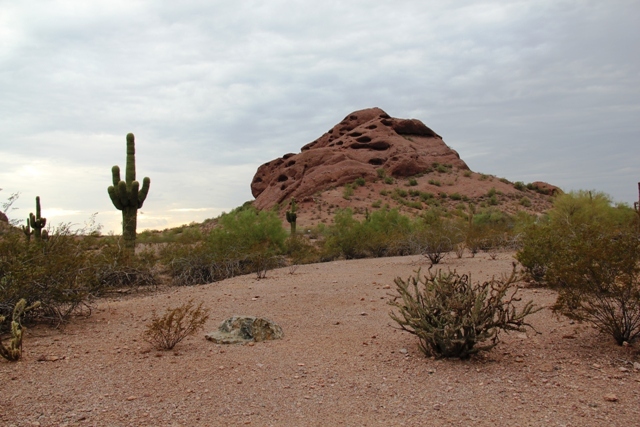 I took the opportunity to visit the nearby Papago Park and the Desert Botanical Garden, a spectacular collection of Cacti and desert flora including many more examples of my favourite Saguaro’s set in over 140 acres and ringed by the fascinating geology of the surrounding Senoran desert. Scottsdale is a veritable paradise for golf and home not only to the legendary TPC Stadium and Champions Courses, but to over 170 others. This is golf quite different from leafy lanes of the UK. 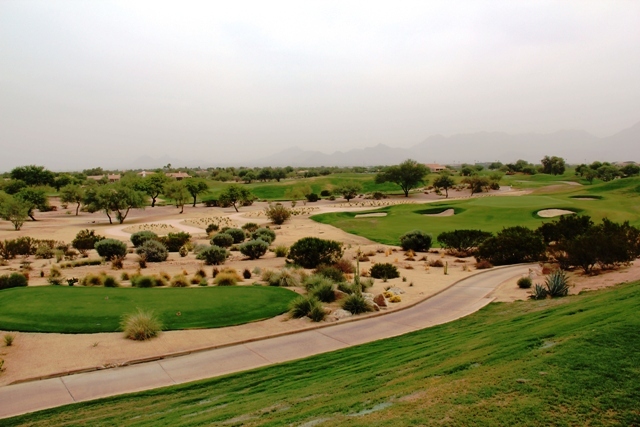 Here, golf has different rules to combat the challenges of desert play and I can attest to a particular incident involving a cactus and a 3 iron, but that, as they say, is another story. Club manufacturer Ping is headquartered here too, and a tour of the factory and an afternoon of analysis in the lab was an absolute must do. Literally every facet of my golf swing was analysed by computer ending up with me holding a detailed recipe for a customised set of clubs. The tours are free but you’ll need to make a reservation first. If you are a golfer, this is one trip not to be missed. Arizona was full of surprises for me. And all of them good. It’s a part of the USA where you can still experience a bit of that pioneering spirit, find exceptional 5 star luxury accommodation and let loose the cowboy in you. 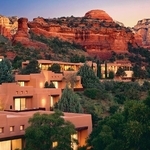 More information about visiting Sedona and Arizona’s red rock country at www.visitarizona.com and www.VisitTheUSA.co.uk). BA flies direct to Phoenix from London daily.